Yesterday most of us read the sad news that the superbly talented Phillip Seymour Hoffman had died. Reports state that heroin was found near his body and that he had a needle in his arm, so we have a pretty good idea of how he died. What we don’t really know, as mere fans of the actor, and may never understand, is why he died. What led him to heroin? Simple, insatiable curiosity, or something sadder and darker? I’ve been thinking of his death and the roles that have touched me the most. And I was reminded of a passage I wrote for the first draft of my book. I’ll share it here. One night Peter and I went to a movie, Capote, starring Phillip Seymour Hoffman as Truman Capote, the author of In Cold Blood. It wasn’t the best idea. The movie made me sad, and as it drew to an end, I became increasingly distressed. When the credits began, I laid my head on Peter’s shoulder and cried. What disturbed me most was how forcefully the movie threw reality in my face. My mental illness always made me ask, “Why me?” and the truth was that I didn’t deserve it less than anybody else. Why not me? There are plenty of people who have lived and died and never experienced any happiness. This man was proof of just one of those people. Who was to say that I wouldn’t or shouldn’t live out the rest of my life trying to chase away tortuous thoughts? Or that I wouldn’t finally give in to the demons and kill myself? It wouldn’t end up being much of a life, but why did I deserve more than that? The man in Capote didn’t catch any breaks. He was abused and abandoned as a child; he went on to murder perfectly innocent people; and he spent years in prison before being hanged. If life were fair, he would have had a nice childhood—or, at the very least, he would have had a fulfilling and meaningful adult life to make up for a bad one, maybe even helped other kids in need. What a waste. What a terrible waste of a life. Did he exist only so Truman Capote could rise to fame by telling his story? And, if so, why? Capote wasn’t exactly happy himself. One thing that had made me feel better from time to time was the small hope that it would all go away eventually, that things couldn’t continue to get worse, or even stay the same. The trouble is that life most certainly can get worse, and the old adage “Whatever doesn’t kill you makes you stronger” was laughable. Each time I emerged from a depressive period, I was weaker, more beaten down, wearier, and more afraid. When I saw In Cold Blood I was on the edge of the worst depression I’d ever experienced. That was eight years ago. At the time I didn’t believe my trials were making me stronger because I didn’t see a way out. I wasn’t sure there was a way out. Your life is worth living. 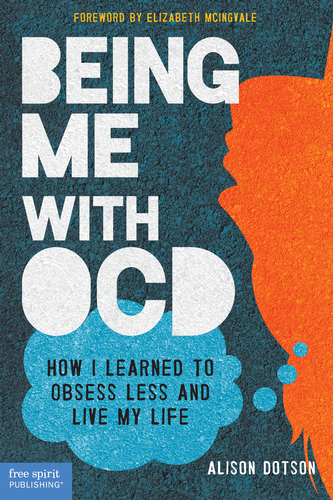 You are worth the hard work it takes to get over OCD. And you are stronger than you give yourself credit for. OCD really is like a bully. It makes us feel like we better act in a certain way, or say or do a certain thing, otherwise something terrible will happen and it will all be our fault. Very intimidating behavior, but easier to face once you see it for what it is.